Aluminum Areosol Spraying Can_Wuxi Dobest Hardware Co.,Ltd. Bottle kinds: aluminum sport water bottle, aerosol can, essential oil bottle, daily care screw closure bottle, beverage bottle, etc. 2.Neck size: 18mm, 20mm, 24mm, 28mm, 32mm, etc. 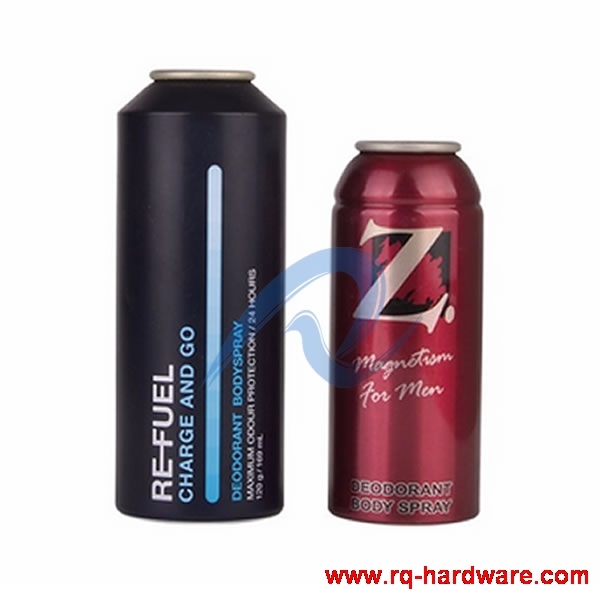 3.Cap: can be matched with plastic normal screw cap, pump sprayer, disc cap, aluminum cap, etc. 5.Printing: silk printing, hot transfer printing, offset printing, etc. 6.Type: daily care bottles, beverage bottles, essential oil bottles, sport water bottles, aerosol bottles, etc. 7.Color: according to your pantone card.